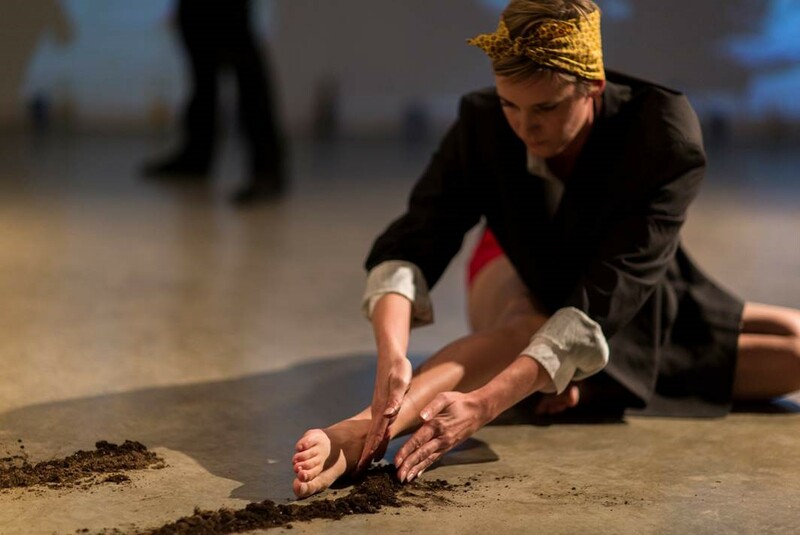 Rhizomatic Performance Lab is a forum led by Allison Wyper for developing works through the exchange of peer (artist-to-artist) feedback on new material each week, culminating in a public showing at the museum. Final Performance: January 24, 5-7 p.m.
Are you developing a new performance work for the stage? In collaboration with performance artist Allison Wyper and Rhizomatic Arts, the Hammer Museum invites applications to participate in Rhizomatic Studio: Performance Lab, a forum for developing works through the exchange of peer (artist-to-artist) feedback on new material over 3 weeks. The workshop culminates in a public showing at the Hammer Museum, a nexus for artist-centered exhibitions and programs on the west side of Los Angeles. As an interdisciplinary community of peers, artists working in different performance disciplines support one another to make the best work possible. The Performance Lab encourages the cultivation of new artistic relationships, while engaging dialogue across discipline and aesthetic. Each week, participants will each present up to 10-minutes of performance material for feedback from the group. Sessions will be facilitated using Liz Lerman's "Critical Response Process"–meaning participants will provide valuable perspective on presented work, without "directing." The structure of the lab provides a weekly deadline to motivate progress, while helping participants hone feedback skills and make strong professional connections. We welcome theatre, dance, and performance artists; storytellers and improvisers; musicians, puppeteers, and intermedia makers; playwrights and public practice artists. The Lab is especially good for solo artists or collaborative duos. Work should be “mid-development” (meaning you have an idea where you want to go with it, and are open to feedback), and presentable “studio style” with no tech and few-to-no additional performers. The Performance Lab will take place on the courtyard stage at the Hammer Museum, during public hours. Participants may schedule up to 2 hours per week to rehearse on the stage between sessions. Applications will be reviewed by Allison Wyper for feasibility, and prospective participants will be notified by December 10 of their inclusion. Meets Fridays from 11 a.m.–2 p.m. on January 6, 13, and 20, 2017, followed by a public showing January 24 from 5–7 p.m. Full participation is required. There is no fee for selected artists. Space is very limited. Applications are now closed. Please direct questions to [email protected].